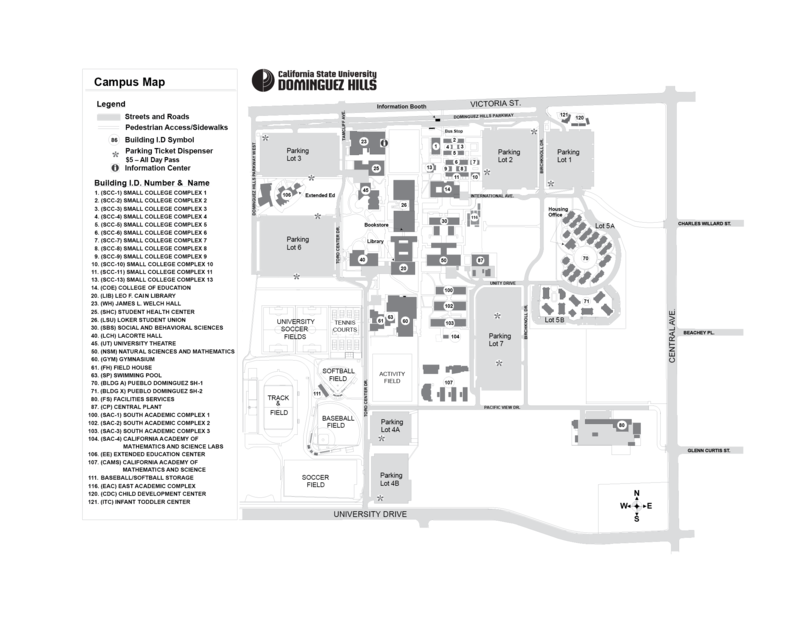 Map of Cal State Dominguez Hills. University Theater is located at 45 on the map. Please park in Parking Lot 6. On Saturday, you should plan to arrive an hour early. You can avoid Soccer Stadium parking traffic by going to Lot 6. Tell any parking attendants that you are there for event at the University Theater.